Jim Hickey is an international peak performance coach, motivational speaker and author of Your Ultimate Best. Jim mentors some of Ireland and the United State’s top CEOs, elite international athletes and olympic athletes. Jim coaches people how to be their ultimate best, reach their goals and dreams beyond what they believed possible. Each time Jim speaks he inspires, motivates and captivates an audience to step up to their next level. Jim helps CEOs build their belief system and get clarity on their goals, plans and processes so they can believe that they can be one of the best in the world and grow their company to world class standard while also ensuring that they are living a balanced and fulﬁlled life. Jim’s results have helped many, many companies. For example, Jim helped one company grow from 0 to 400,000 proﬁt in one year and helped turnaround another company that was weeks a way from being liquidated to being in credit within 4 months. He has also helped develop teams in multi-national companies to work together, to be stronger individually and as a team to develop and grow as level 5 leaders, bringing the companies forward to even more success. Jim’s enthusiasm and passion to bring the best out of people individually and in business is infectious. Jim is passionate about living his own best ultimate life and is a big contributor to his own community. A recent two day Business Boot Camp with Jim reafﬁrmed my feelings that one can only give the absolute best at work if there is contentment and balance in every other area of one’s life. Subsequent reﬂection on our own Manager Development Program in the business made me realise that while we have put a lot of effort into developing our managers in the past, we have focused at improving their performance only in the work segment of their lives. I discussed this with Jim and asked him to develop a one day program for our management team that would introduce the idea of a balanced life and help each person to achieve appropriate balance across all areas of their lives. Over a number of years Jim has developed a highly effective system for taking people through each area of their life. The system is very easy to understand and has simple techniques to help each individual make the necessary lifestyle changes. Jim’s passion for sharing and his belief in what he is delivering gives considerable credibility to his messages. My experience over the years has shown me that a key factor in business success is having an engaged and motivated workforce. I have learned that employees can only be truly motivated at work if they arrive with a free mind, in other words balance in all life areas outside of work. If you are exploring the area of employee motivation within your business I recommend you meet with Jim. He will help your employees to achieve the necessary work/life balance and ultimately help your business to become more successful through a highly motivated workforce. I am very grateful to have had the good fortune to meet & work with Jim on many occasions over the last 3 years. 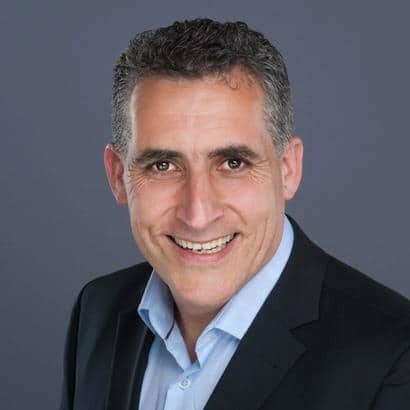 Jim brings his vast wealth of life, business & coaching experience to every interaction, he delivers this with infectious energy and enthusiasm which is very impactful and always leaves you uplifted, re-focused & conﬁdent about your current and future challenges/opportunities. Jim is very capable and professional in every situation from large open public group settings, discrete one to one conversations and phone calls. In my ﬁrst interaction with Jim, I had signed up our Irish Logistics Leadership Team for a 2 day Business Boot-camp which he was facilitating with a colleague. The whole experience was outstanding and Jim’s sessions on work-life balance using the Life & Business wheels were very insightful & thought provoking. Since then I’ve attended further 1 day seminars to learn more about the approach and how to further improve my personal & professional life to great effect. I can fully endorse Jim as a very professional high performance coach.